It is Paris 2005. Albert Camus, Jean-Paul Sartre and Pia Pascal have survived into older age. They are debating current trends in philosophy while tracing historical philosophy back to its roots within the present perspective of the American-Iraqi War. Camus is now a Christian Catholic, Jean-Paul Sartre, still the committed Marxist Socialist is on the verge of a nervous breakdown and ripe for religious conversion. The stage is set for a tragic ending, leaving Camus questioning his religious faith. 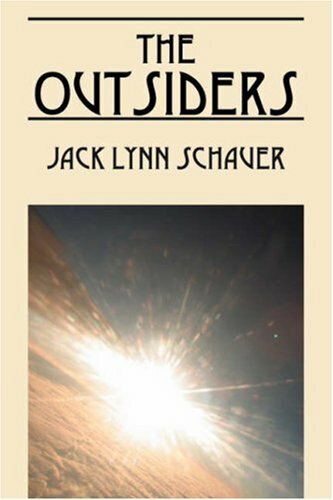 Jack Lynn Schauer is a student of the human condition, wielding the written craft to enrapture the mind much like an artist wields a brush. The pages are a blank canvas on which to draw from a talent heralded by many and matched only by an imagination that rises to the task. The Outsiders is the first in a series of recent pursuits, with work progressing quickly on the follow-up.